This week is all about wanting jewel tones. I’m not sure if it ‘s because of the holiday season, but, jewel tone colors are just great on every complexion. I’ll admit that I’m kind of a sucker for pink jewel tone colors. I love when the color is in a dress or a hot pair of shoes. Below is a few of SC’s picks to feed our yearning for pieces with jewel tone colors. ASOS never fails the curvy girls. This dress should be worn to all your fancy holiday party’s. 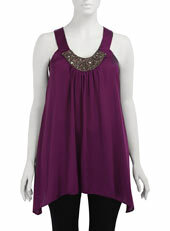 SC loves this top under a blazer or cropped leather jacket. We love how the ruffles frame the neck. These peeptoe pumps are so cute and girlie. We love them with a flirty little frock or peeking from under a pair of black trousers. A bandage dress is one of the most flattering dresses. We love that this dress is in beautiful warm blue jewel tone colors. The blues kind of remind us of the ocean. This is the kind of top you can rock out in. Pair it with a pair of black skinny jeans and mean leather boots for a little rock and roll flair. 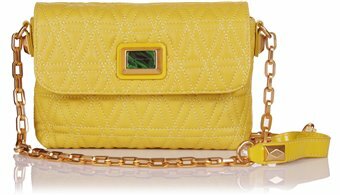 We love this bright yellow chain bag to wear during the day with blues, browns, and purples. Yellow is the ultimate pop of color. Are you in to jewel tones this season?